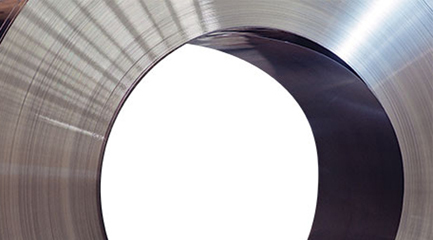 IPCO stainless steel belts are, as standard, delivered in cold rolled (mill finish) condition with a surface roughness of Ra < 0.40 mm, ground finish with a surface roughness in the range Ra = 0.10 to Ra = 1.5 mm and have well-rounded edges. Special surfaces, such as perforated, mirror polished, chrome plated, or coated with fluoropolymers (PTFE/FEP), can be provided on request. IPCO carbon steel belts are, as standard, delivered in a hardened and tempered condition and have well-rounded edges. If required practically any surface finish can be supplied. Perforated and embossed belts are also available.